For some, learning jazz can be a daunting task. It’s harmonically complex, and because of this, there is a demand for a certain level of virtuosity. I often find that those who love jazz but are too afraid to try to learn it become deterred by the sheer overwhelming nature of the task at hand. However, when you are learning jazz or any style of music for that matter, you need to simplify things. It’s easy to listen to jazz or even look at a piece of sheet music and feel discouraged, so I find that it is helpful to break it down into smaller pieces. Jazz can be made simple. For the most part, it’s only a small handful of common chord progressions rearranged and reused. Once you know a small number of jazz standards, you start to realize they all have their similarities. 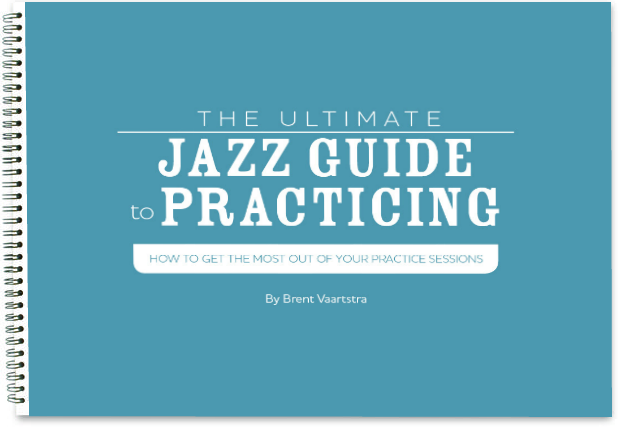 The key is you need to understand basic chord progressions used in jazz. You need to know them inside and out. And once you know them, and learn how to improvise over them, any jazz standard you come across becomes exponentially simpler. Even the slightly unusual ones can be de-mystified. 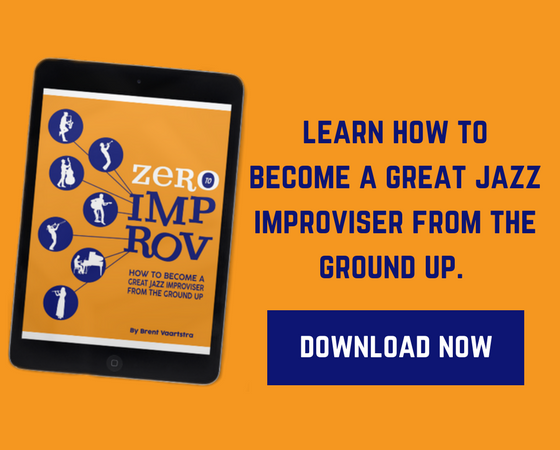 If you want to break down jazz tunes and learn how to improvise over them, you need to master these 3 chord progressions. Once you have a good handle on these, you will be surprised at how easy playing jazz starts to become. If you need help understanding how to construct any of these chords, go here. If you need help understanding what the Roman numerals mean and how chord qualities are defined in progressions, go here. This is just some basic knowledge you will want to have before going in to study these chord progressions. 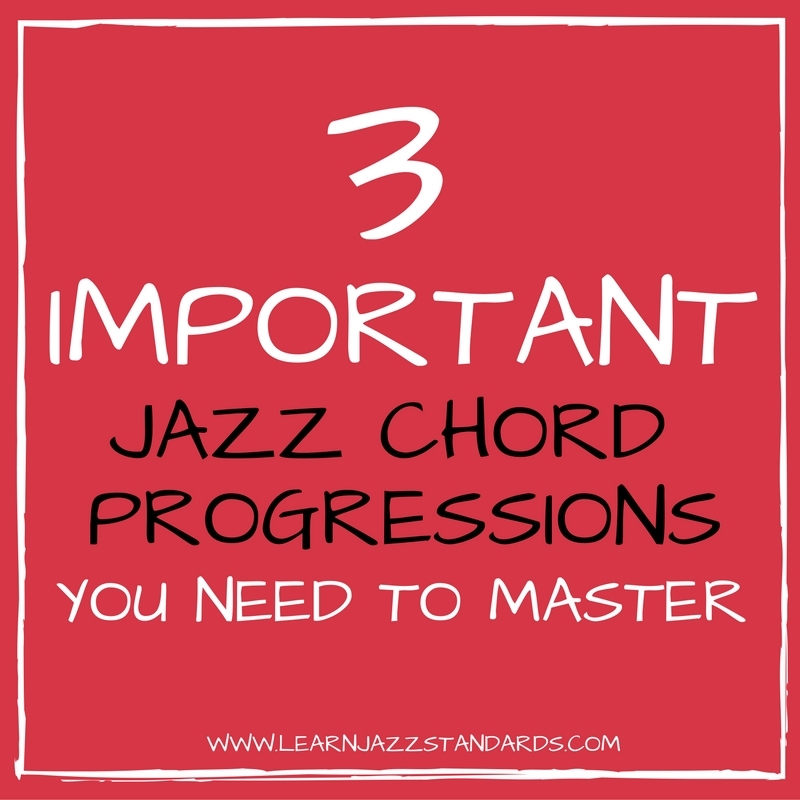 Here are the 3 chord progressions you need to master, that you will find over and over again in every jazz standard. I’ll give you some practicing advice along the way. The ii-V-I is easily the most important chord progression to get a handle on when it comes to jazz. This chord progression is also important in other styles of music as well. You’ll want to spend plenty of time working on ii-V-I’s. In this case, we are in the key of C major. Dmin7 is the ii chord; G7 is the V chord and Cmaj7 is the I chord. Take the ii-V-I into all 12 keys, playing the arpeggios of each chord. 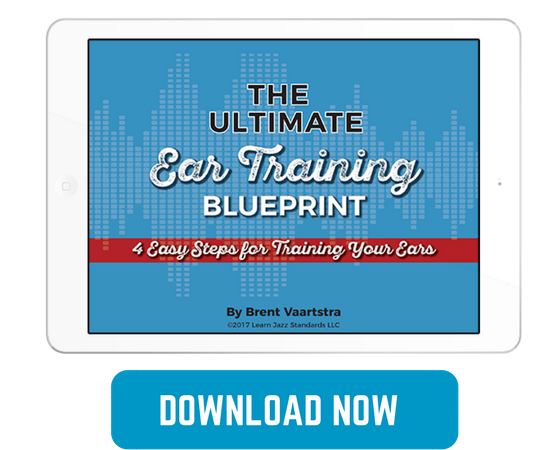 Learn a ii-V-I lick from a favorite jazz musician or learn one of these. Identify the 3rds and 7ths of each chord, and then target them when you practice improvising. This chord progression has the same function as the previous major ii-V-I, but of course is in a minor key. In many jazz standards, you will find major and minor ii-V-I’s in the song form. If you’re not sure how to come up with chord qualities in minor keys, go here. The V chord can be altered, meaning, you can add a b9, #9, or #5 (sometimes #11). In this case, I notated the V as a G7(b9) chord. Seek out a tune with lots of minor ii-V-i’s such as Yesterdays or Alone Together. Find a recording you like and learn a minor ii-V-i lick by ear. This chord progression you see all of the time. You can find it most naturally in any rhythm changes tune, such as Oleo. It’s important to note that the vi chord, to be diatonically correct, is a minor chord. However, jazz musicians will often turn it into a dominant 7 chord. This is common practice, and so I have listed it as an option above. This is important to be aware of. Learn a I-vi-ii-V lick by ear or learn one of these. Learn a rhythm changes tune. Practice taking the I-vi-ii-V chord progression through all 12 keys, and play the arpeggios of each chord. Get all of these chord progressions down, and you will have a huge advantage. I highly suggest spending considerable time isolating these progressions outside of the context of a song so that you can learn to improvise over them. If you want to practice these progressions and more in all 12 keys, consider checking out our Chord Progression Workouts play-along album.